What a hassle those roof leaks can be! Maybe you’ve experienced many trips to the roof only to find out the next time it rains the drips keep coming. They’re often difficult to find and even more difficult to fix. We understood that Through the Roof!® would last longer than the asphalt by a large margin but this capability sealing chronic leaks stumped us. What was going on? As this question was rattling around among our R&D team and in my head, I found myself at a DIY trade show in Guadalajara, Mexico. One of our demos is how Through the Roof!® will stick to wet surfaces and seal holes, even under water. 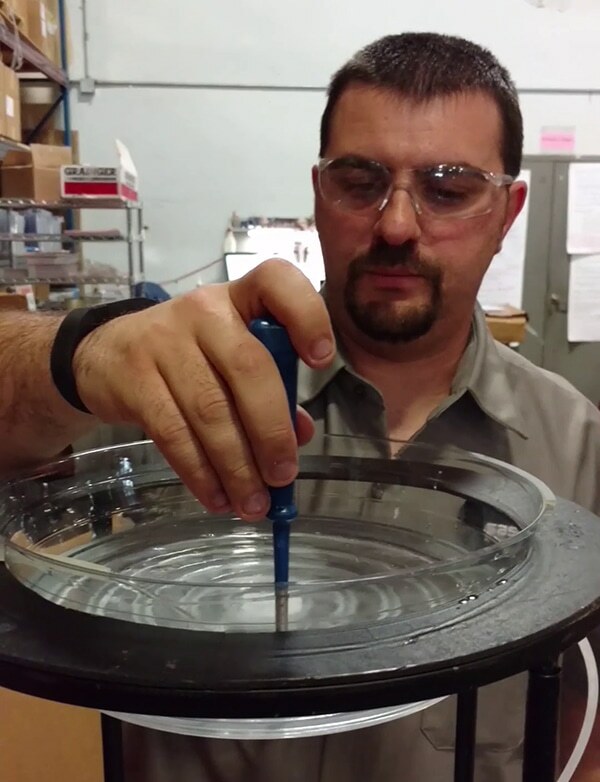 We poke holes in a plastic bowl filled with water and then seal it as it drips out the bottom. I had always used our cartridge grade for this demo but happened to have some brush-grade and picked that up. Sure enough, I brush it over the hole and the leak stopped – just like always. But not like always because 30 seconds later the leak started up again. What was happening? After a few more tries I switched to cartridge grade as my red face got back to normal. Well a couple of things were obvious: the holes we were punching were pretty big and there was water pressure above them trying to push the sealant through. You wouldn’t normally have 4” of standing water on your roof! The brush-grade was just enough thinner than the cartridge version (to make it truly brushable) to get slowly pushed through the hole and let water through again. I reflected on that after the show and began to put the two stories together. I pulled our lab guys in to ask, “What does Through the Roof!® do that traditional asphalt doesn’t?” Then it dawned. 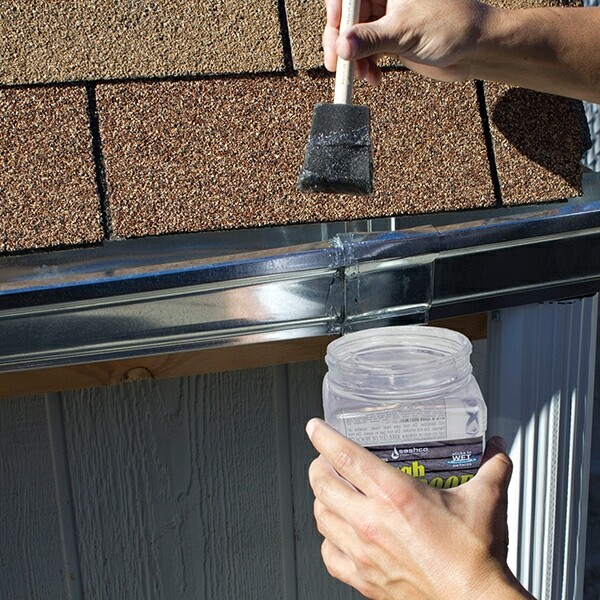 Asphalt sits on top of the leak but Through the Roof!® actually follows the crack by flowing into it. These dealers weren’t having success because they ‘finally’ discovered where the leak travelled. Instead Through the Roof!® did it for them. It flowed just enough into places they couldn’t see to stop the water. We thought we made a brushable grade for convenience but had no idea we were also enhancing the leak seeking capabilities of Through the Roof. While we don’t have any magic in following roof leaks to the source, we do have a product that will often find them for you.